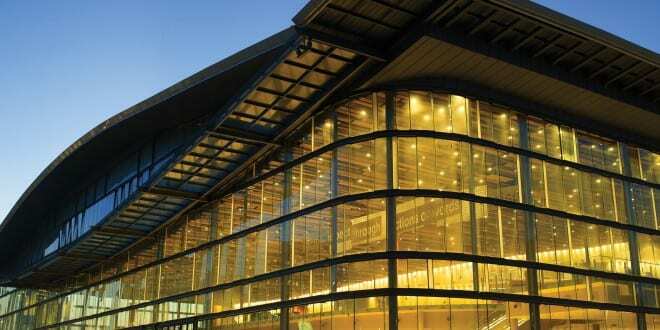 The Durban International Convention Centre (Durban ICC) has been named amongst the top 15 convention centres in the world by the International Association of Congress Centres (AIPC). The announcement of the finalists of the AIPC Apex Awards was made at the organisation’s annual general assembly held earlier this month in Nantes, France. The Centre was recognized as one of the 15 finalists for “Best Client Rated Convention Centre” in the global competition and was notably the only convention centre in Africa to have made the final list despite several entrants from the continent. This prestigious award programme, which has been conducted for over 20 years, owes its prominence to the fact that competitors are rated entirely on the basis of client ratings as assessed by the global market research company, Ipsos. The firm conducts surveys directly with clients to assess the entire convention centre experience, evaluating the venue’s spaces, food and beverage, technology, audio visual, and event management process. “The position of Finalist for the AIPC Apex Award is a notable achievement that places a centre amongst very good company worldwide”, said AIPC President Geoff Donaghy. “In total, Ipsos has surveyed over 1650 client references put forward by participating centres – a clear indication of the effort made to get the broadest possible assessment of client evaluations for this competition”. The top honour went to the Brisbane Convention & Exhibition Centre, and the two runners-up were the Kongresskultur Bregenz GmbH, Austria and the Hawai‘i Convention Center.